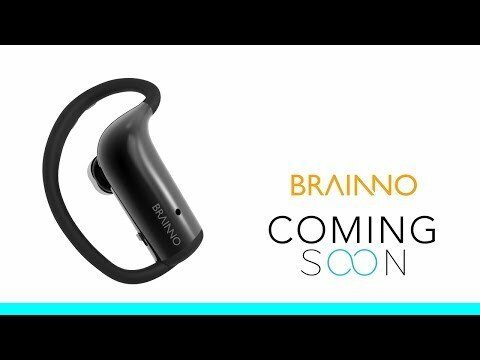 Indiegogo funded BRAINNO, is the first wearable that measures you brainwaves and heart rate simultaneously in real-time. The wearable has application in daily stress prevention, an active lifestyle or brain sharpening games. A product of nine years of reasearch, BRAINNO amplifies the signal from your brain to measure brainwaves through 3 sensors that connect to the back of your ear, in addition to another sensor in your ear that measures your heart rate. This technical configuration allows the wearable to monitor your body’s Delta, Theta, Alpha, Beta, and Gamma waves – which can be associated with states such as sleep, drowsiness, concentration, stress and attention span. The data is communicated via Bluetooth to your smartphone and the accompanying app, which helps you take action towards maintaining optimal brain health. While you are wearing it, BRAINNO is constantly monitoring your condition. For example, if it detects stress it will automatically pick out the best music to bring you back to a relaxed state. This function however, has limited use due to its five hour battery life. More useful perhaps are its scientifically curated games, images, music and photos that help you achieve your desired state such as reduced stress or more focus. The app captures your responsiveness to these stimulations and also displays your brain state in easy to read charts and diagrams so you can learn about your body’s responses. The wearable is designed for people leading a variety of lifestyles including students, business professionals or fitness enthusiasts. Its a solution that is designed to keep you aware and modify how your body reacts to situations and environments as you carry on throughout your day.